The organoleptic characteristics are a fundamental requirement of the nutritional quality of the product, in large part related to the choices of natural ingredients, the craftsmanship but especially the seasoning that takes advantage of a unique microclimate of this area of ​​the hills Nebrodi and quality of pigs, reared genuine products as acorns, beans and bran. We then move to the “consa” that takes place in a wooden cupboard using coarse salt and ground black pepper. Following mixing by hand to facilitate the homogeneous distribution of the components. The period of maturation is treated with great care. Depending on the type of casing used, the duration can vary from 20 to 100 days. 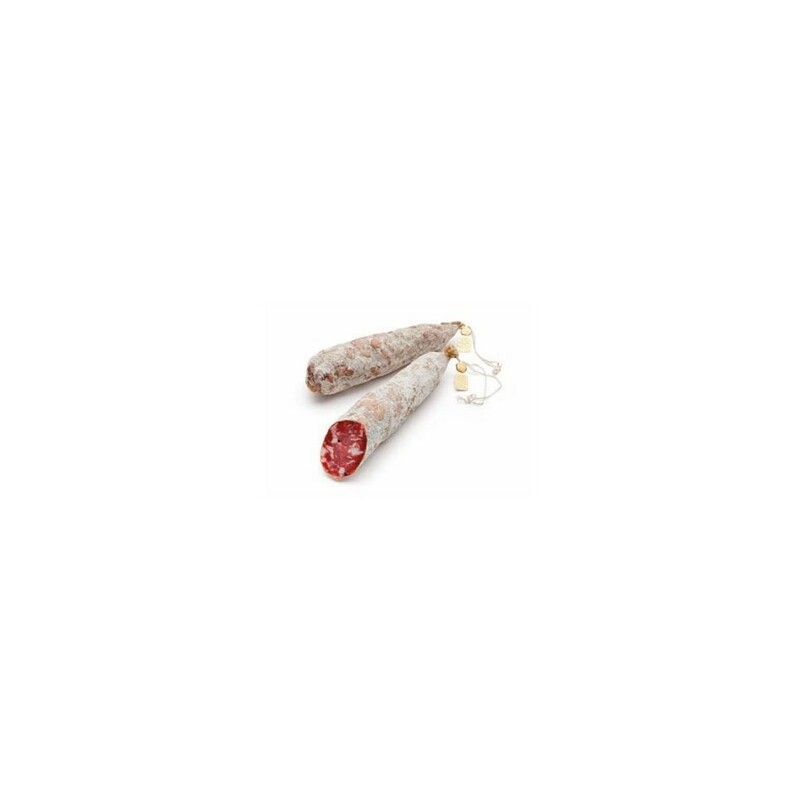 The microclimate of this area does the rest, positively influencing the microbial flora and the biochemical processes and giving the salami its typical and inimitable characteristics. 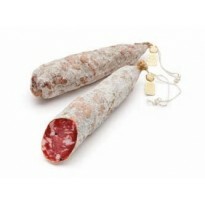 Salame S. Angelo PGI takes its name from the town where it is produced. Its history has been documented since the Arab-Norman period. During the XI Century, the Normans introduced new customs to the Sicilian territory, including the use of pork, which was in contrast to the habits established by the Arabian dominators, who prohibited the use of pig meat. Over time, Sant’ Angelo has been the jealous guardian of a unique Sicilian tradition. This is confirmed by many important historic documents, among which, a resolution adopted in the mid XIX Century, which established a tax on products with the highest economic interest; salami was one of these products.